Good news, sew-alongers: today is an easy day. That is, if you’ve already done your bound buttonholes following Tuesday’s tutorial. Or if you’re skipping bound buttonholes entirely and going with machine stitched buttonholes later on. 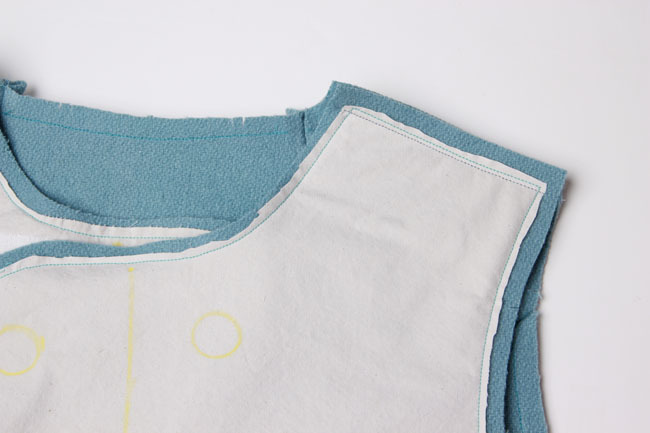 Other than finishing our bound buttonholes, all we’re going to do today is sew a few darts and seams. I love this step because it’s a fairly quick bit on sewing, but you actually start to see your jacket coming together for the first time. I hope this easy day will help you feel caught up. But if not, don’t fret. These posts will still be here when you need them. And don’t forget to join the Flickr group, where you can post photos along the way and help each other out. Are you doing bound buttonholes on your jacket? 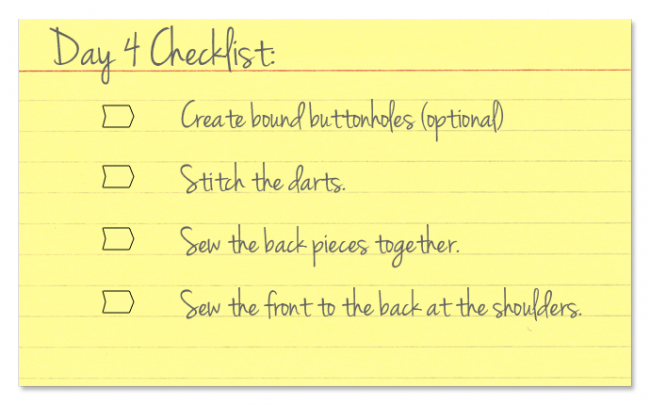 If so, follow the bound buttonhole tutorial to get those done before you start assembling the jacket body. Bound buttonholes are optional and machine stitched ones can look great too! 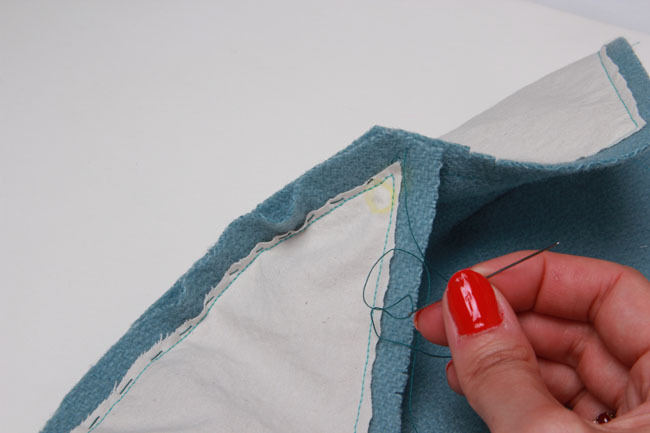 You can save machine stitched buttonholes for later in the process. Stitch the darts in jacket center back. Tie the darts off at the tips, and press toward the center. Pin the center back to the side back around the curved edge. You may wish to hand baste these pieces together to prevent puckering. 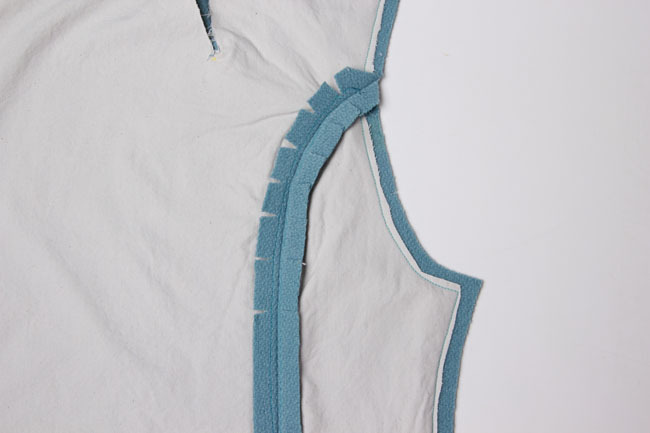 Start from the hem and stitch the pieces together until you reach the large circle. Pivot slightly and stitch toward the tip, as shown in the photo. 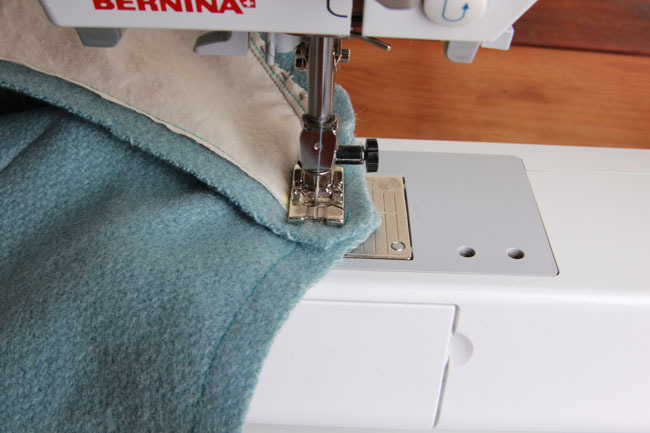 Clip the outer curves of the seam allowance to help the seam lay flat. Press the seam open. 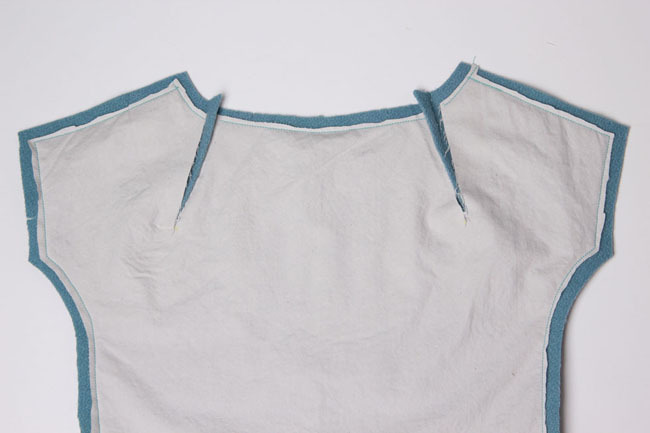 With right sides together, stitch the front to the back at the shoulders. Press the shoulder seams open. We’ll get to the side seams a little later, so leave those alone for now.